Baffinland shipping, 2018. Image by Baffinland Iron Mines. 71 shipments carried an average of 71,750 tonnes of iron ore each over an 86-day period. This establishes the record for the largest shipping program by volume ever executed in the Canadian High Arctic, surpassing Baffinland’s previous record of 4.1 million tonnes shipped in 2017. Baffinland also carried out two Northern Sea Route transits to Asia, a first for iron ore bulk carriage. 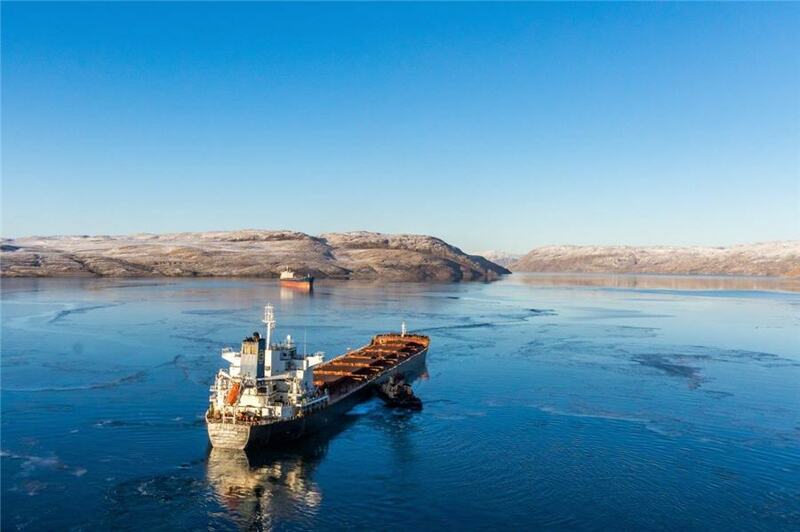 “As we focus on our expansion program, a successful, safe, and responsible shipping season remains a critical component of our growth,” said Brian Penney, Baffinland’s president and CEO in a statement. Penney said Baffinland again deployed world-leading health and safety control systems and conducted environmental monitoring programs to adhere to strict environmental standards. He added that these systems were developed in collaboration with the North Baffin communities, including real-time vessel locations and an onboard monitoring program to ensure no adverse environmental impacts or impacts on Inuit shipping vessels. These programs combined scientific and traditional Inuit knowledge.